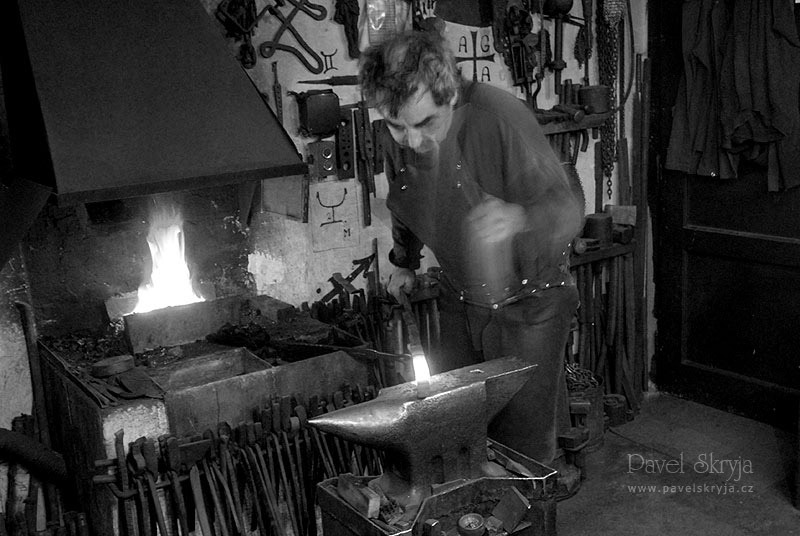 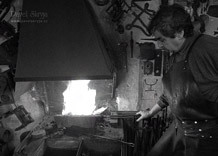 The soul of Pavel Skryja, a native of Brno (CZ) and one of Europe's best sword makers, is ill. 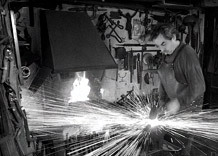 This illness is very rare nowadays and unlike all other known illnesses it is also very romantic and beautiful. 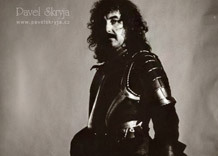 Skryja is obsessed, namely by the Middle Ages. 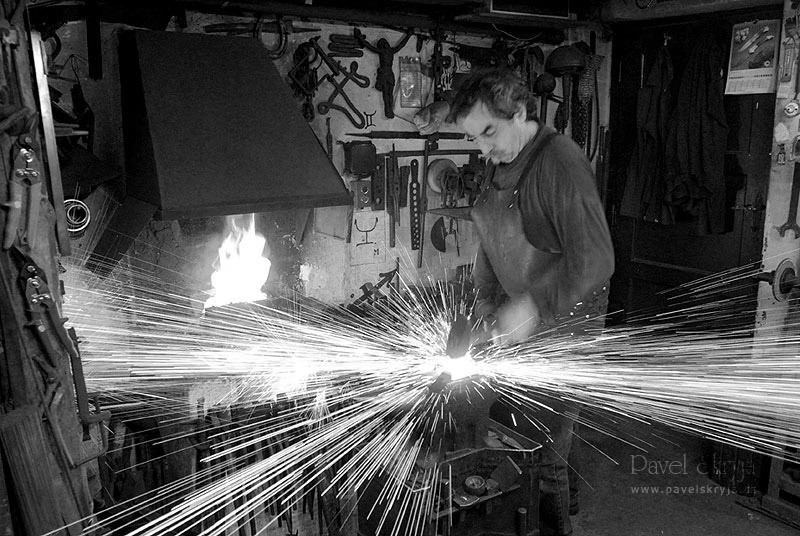 What began in his early youth with historical fencing was later developed by studying medieval production technologies, ways of life, the art of cooking and the chivalrous etiquette; in recent decades it has narrowed into the obsession of reaching perfection in an ancient craft - in the art of sword-cutting. 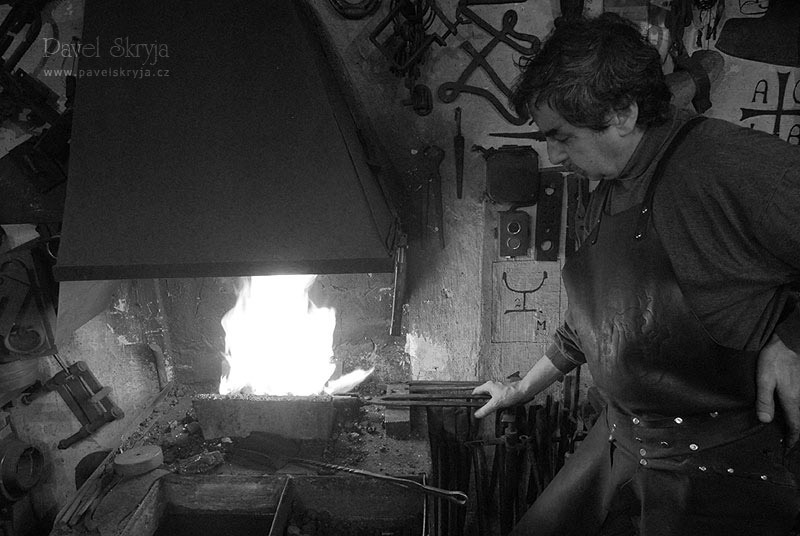 For Skryja, sword-cutting is his life. 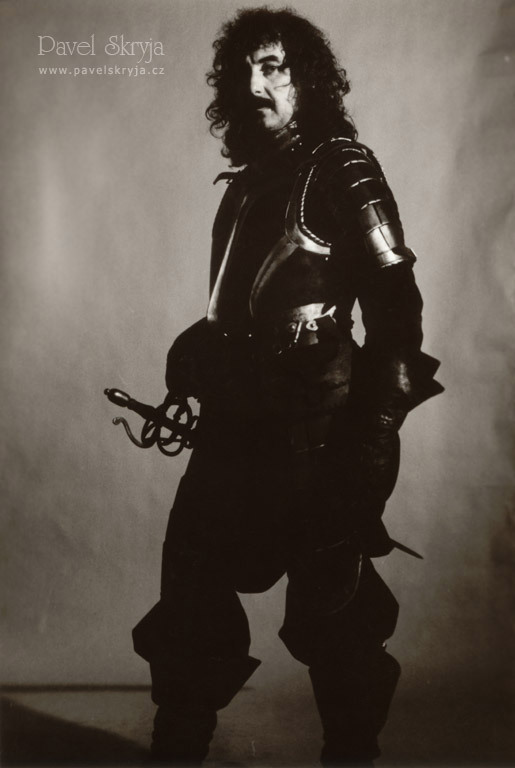 From once imperfect efforts to the production of exact replicas of historical arms to works of perfect craftsmanship and professional restoration works for castle exhibitions we come to his current works, which are worth the highest evluation in the field of artistic smithery. 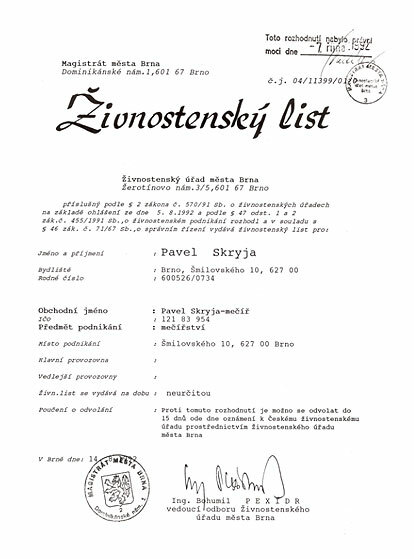 Skryja's replicas can be found in numerous private collections not only in the Czech Republic but also in Austria, Germany, England and the USA. 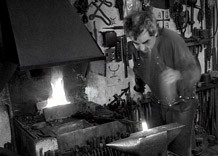 An important characteristic of his works is his tenacious observance of production procedures and technologies of the particular time that are exceptionally rare nowadays.